Established in 2011, we 'Mastech Machinery', are one of the most reputed manufacturers, exporters and suppliers of the highest quality assortment of Tablet Press Accessories & Granulation Equipment. Our offered range is manufactured using excellent quality material that is sourced from most trusted and reliable vendors of market. Our extensive range of products also includes Lab Press, Single Side Rotary Tableting Machine, Dies & Punches, Dies & Punches Polishing Kit. Our products are highly appreciated by clients for its salient feature such as longer service life, fine finish, dimensional accuracy, lightweight, rugged construction and corrosion & abrasion resistance. Due to the highly developed infrastructural facility, we are manufacturing, exporting and supplying our products within the limited time frame. We also make sure that before delivering; every product is thoroughly examined, so that no error occurs at our clients’ end. Our products are appreciated by our clients for their robust construction, user friendly nature and durability. In addition, our ethical business practices and quality centric approach has made us one of the preferential names in the national as well as the international market. We have achieved a position of repute in our domain, with the help of our mentor 'Mr. Ashish Trivedi (MD)', his excellent vision has helped us to create a niche for ourselves in the market and enabled us to aim at higher goals and achievements. To offer our clients flawless range of Tablet Press Machines & Accessories, Granulation, Roll Compactor and Multipurpose R&D Equipments, we have established state-of-the-art infrastructure that includes Administrative unit, Warehousing & Packaging unit and Quality wing. All of these units are equipped with all of the necessary equipments, which get standardized at regular intervals. These machines and equipments are supervised by our team of experts, which results in optimum performance of these machines and equipments. 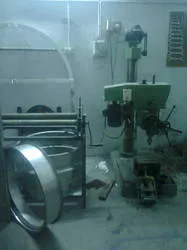 The team of industry experienced and educated professionals of our organization enable us to fabricate superior quality range of Tablet Press Machines & Accessories, Granulation, Roll Compactor and Multipurpose R&;D Equipments. 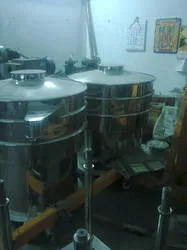 They, with their superior technical knowledge always keep track of the latest development of our products. This facilitates us not only in development of our production process but also helps in meeting the ever changing demand of our clients. 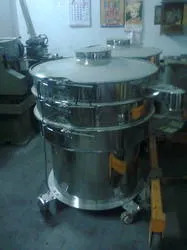 We have emerged as one of the leading manufacturers, exporters and suppliers of Tablet Press Machines & Accessories, Granulation, Roll Compactor and Multipurpose R&D Equipments. These are of optimum quality and known for providing our clients optimum performance. This is the main factor that helped us in making a wide client base.